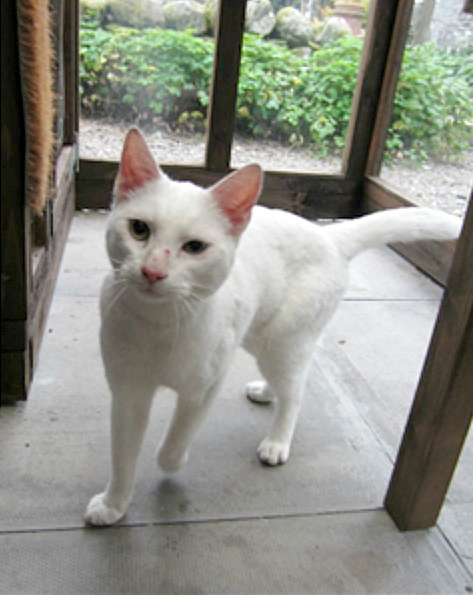 Willie has been living in the car park of Arran Court, Stranraer. He has not moved from under the cars, only to greet people. He has been very reluctant to move from this area and has been there night and day. Unfortunately, as too often is the case, he is not micro chipped. No owners have been found in the immediate area. We believe he may have arrived there by other means than his own and was too confused to find a way home. He was very hungry and when vet checked, was found to have little or no food in his stomach. He is now in our care whilst we look for his owners. His home may be a distance from where he was found. If you have lost a white male cat recently, please get in touch.